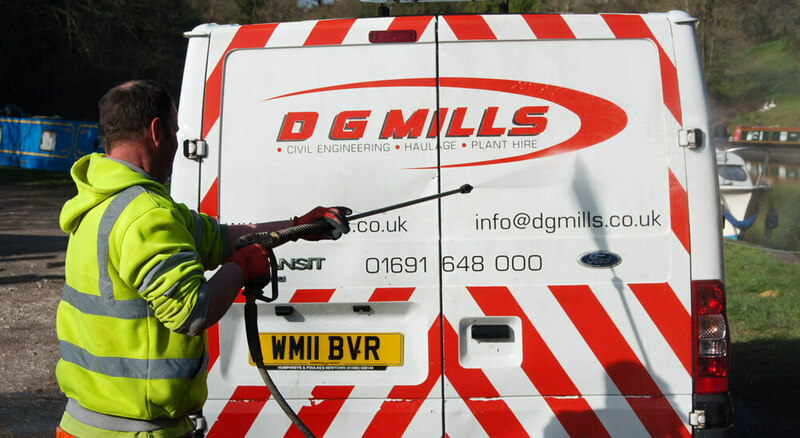 D G Mills originally started in 1983, we started as a haulage company establishing a good customer base of local businesses creating solid foundations for future developments. From these early days of haulage the business expanded into plant hire and civil engineering. Mr Greg Mills served his Apprenticeship in Civil Engineering and still had inclinations to work in that field. He is still involved in every new project and still maintains a hands-on approach in every aspect of the company business. We have grown steadily over the years, with the group becoming a recognised construction company with over 25 years of experience. 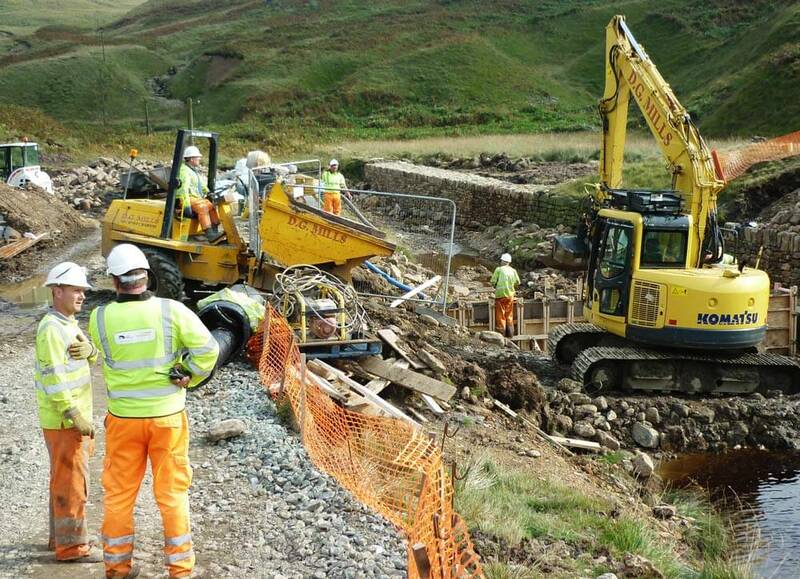 We provide a high quality of service and value in Civil Engineering, Plant Hire and Haulage throughout Wales and the UK. We remain in pursuit of business growth in all aspects of the company going forward, providing the same high standards of support to both new and existing customers while recognising and fully committing to our Safety, Health and Environmental responsibilities. We invest in our Labour force, with all staff gaining recognised accreditation to CSCS and CPCS qualification in appropriate categories for the tasks they carry out during the course of their work. We have SMSTS qualified Site Personnel on each project. As a company we are accredited to organisations such as Construction Line, Achilles, Acclaim Accreditation, SSIP and more recently we have gained CE fabrication certification to BSEN 1090-1- 2009. Maintaining high environmental standards is extremely important to us and always at the forefront of the planning process. We pride ourselves on our ability to implement systems of work that minimise or negate any environmental impact of our construction, with all workers appropriately trained. We are often involved in environmentally sensitive areas and even SSSI’s (Site of Special Scientific Interest) so we fully understand our responsibilities and contrive to minimise our impact upon them. Precautions are made in the event of an oil spillage from any of our plant or machinery, using biodegradable oil to minimise the impact to the surrounding environment and carry spill kits in all plant with a spills response procedure developed for each site. Considerate sourcing of materials in line with our sustainability policy, including all timber coming from sustainable (FSC or PEFC) source and recycle product where possible and appropriate. Ensuring all habitats are identified and protected prior to work commencing. Prevention of pollution to watercourses using silt mitigation methods. Our suppliers acknowledge and support our environmental policy. Designated refuelling areas and procedures in place. "I would like to pass comment on the teams that have been on site at Bridge 86 access steps. Both construction, and fabrication teams have been diligent in their approach to work, and conduct towards the public." "I have worked closely with D G Mills on numerous occasions over the past several years on projects ranging in value from £50k to £1m. 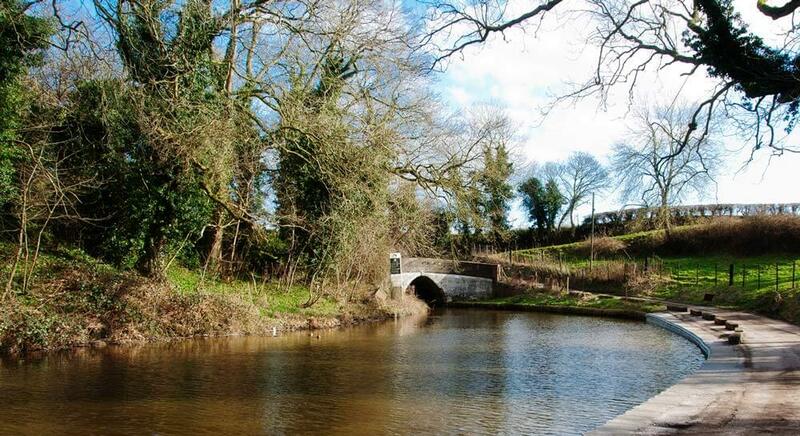 The works were mainly of civils nature including canal wash wall repairs, bridge replacements, piling works and footpath and towpath construction. 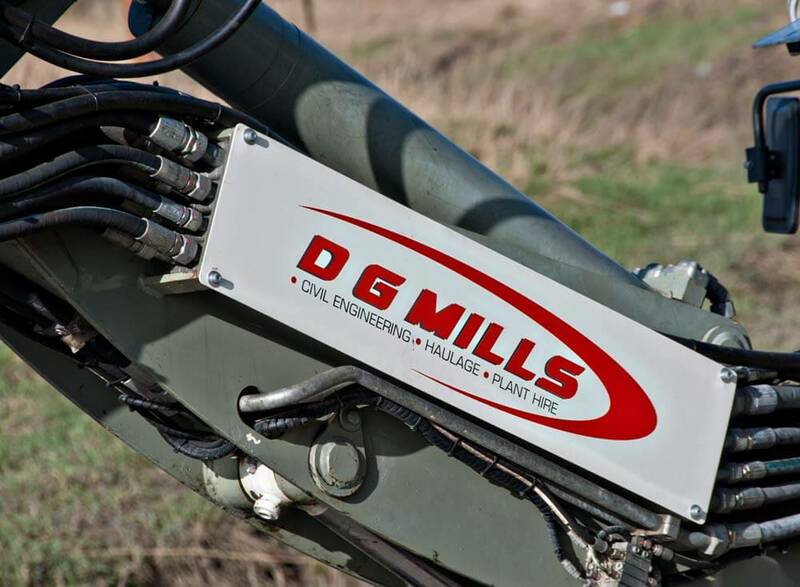 However, I have also utilised D G Mills to cover multi utility based contracts ranging up to circa £850k. In all instances DG Mills have performed within programme to budget and in a professional manner. In many instances they have readily adapted to changes in speci cation and design to accommodate these changes and have been pro-active in suggesting solutions to enable cost savings where practicable.